So you've heard that Facebook bought Oculus for $2 billion, and right now maybe you're feeling angry, depressed, or like there's an enormous knife sticking out between your shoulder blades. "Et tu, Oculus?" you ask, disbelieving. In fact, because there's been a lot of negativity about the deal out there, let's start with what potentially could go right with this endeavor. If Oculus's $2 billion price tag didn't already alert you, Facebook has money. A lot of money. Money which it could ostensibly throw into virtual reality research. Oculus founder Palmer Luckey has been out on Reddit evangelizing this aspect of the partnership, and with good reason. It takes cash to scale up hardware, and Oculus has been burning through venture capital dollars for months now. A solid backer with ridiculous money to throw at VR? That's just what Oculus needs. Speaking of which, Luckey claims Facebook's money will help produce a cheaper, more powerful Rift when released to consumers. 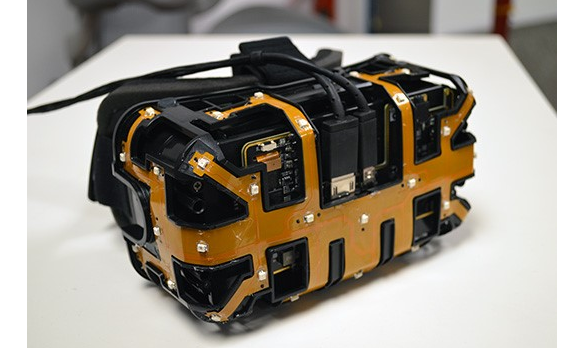 Underneath the hood of the second-generation Oculus Rift dev kit. "We have the resources to create custom hardware now, not just rely on the scraps of the mobile phone industry," wrote Luckey on Reddit. "This deal is going to immediately accelerate a lot of plans that were languishing on our wishlist, and the resulting hardware will be better AND cheaper." If Oculus had stuck to its original Kickstarter funding money, any consumer-grade Rift would've been hobbled by market realities. I'll admit I was excited when Oculus secured EVE: Valkyrie as an exclusive launch title. It made the Rift feel like a viable platform with an actual release date in mind—like something that would come to market sooner rather than later. With the new deal, Oculus potentially has more money to throw at developers and convince them to make great titles. "We're going to focus on helping Oculus build out their product and develop partnerships to support more games," wrote Zuckerberg in a statement post-acquisition. Virtual reality needs more games of the same quality and polish as EVE: Valkyrie. Incentivizing developers to create those experiences could be a huge boon for the Facebook-funded Rift. All we can do is take Facebook at its word here. Both Facebook and Oculus claim this agreement will not affect Oculus moving forward—that all the milestones, the development timeline, everything will stay the same, only with more funding. "Oculus already has big plans [for gaming] that won't be changing and we hope to accelerate," wrote Zuckerberg. "Oculus will continue operating independently within Facebook to achieve this." It's essentially the same line Zuckerberg used after purchasing Instagram and WhatsApp. But let's not kid ourselves: There's a huge backlash against this deal for a reason. Despite the fact that Facebook still reigns as the largest social network, it's more from lock-in and a lack of options at this point than any real fondness for Zuckerberg and Co. To be honest, it hurts the heart to see Facebook, the faceless corporation, buy out a company as passionate and community-friendly as Oculus. The deal is only a day old, as far as the public is concerned, so anything listed in this section is just a possibility, not a certainty. With that said, here's the major negatives that could come crawling out of the acquisition. Here's a big one: Why don't people like Facebook? Maybe because Facebook doesn't respect them. Facebook's privacy settings are a mess, they've shown a reckless disregard toward even allowing you any semblance of privacy, and it's all headed up by a person who has repeatedly stuck his foot in his mouth when discussing these very same issues. On top of that, there's the whole "If you're not buying the product, you are the product" philosophy—Facebook data-mines your info and sells it wholesale to advertisers. What kind of ad-integration (if any) will we see on the Rift? What kind of data will Facebook take away from our play-sessions? It all sounds so tin-foil hat, and yet considering Facebook's history, it's not surprising people are worried. Within minutes of the announcement, the Oculus community went into full Internet-riot mode. The community, both consumers and developers, are deeply unhappy. Markus "Notch" Persson already announced he's canceling a planned Oculus version of Minecraft because Facebook is "creepy," and a number of other developers spewed similar sentiments on Twitter. In these early days of virtual reality, Oculus has thrived in large part because of its developer support. So many people have been making demos for the Rift for free, just to experiment and help contribute to the start of a new medium. 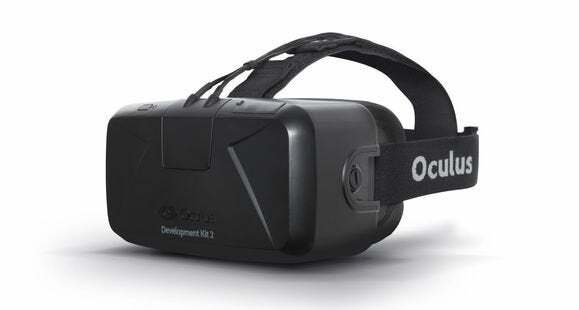 If developers abandon the Rift in droves for a competitor, that's a huge problem for Oculus. Similarly, if Oculus can't win back the gaming community, it has just as big of an issue. There's a healthy portion of that community that just hates Facebook on principle. A smaller subset feels betrayed because they contributed to Oculus via Kickstarter and now don't like the way the company is headed. 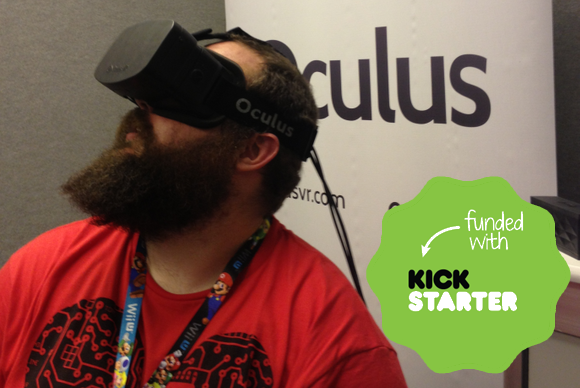 My fellow writer Brad Chacos thinks the Kickstarter campaign was actually a success: It allowed Oculus to turn an amazing, but untested product into a reality when nobody else was willing to take the chance. But the community feels it put dollars down and Oculus violated some unspoken "spirit of Kickstarter" with this acquisition. And really it doesn't matter whether the community was betrayed—it's all about perceptions. Just look at how hard Microsoft has struggled to regain trust after last year's disastrous Xbox One reveal, and still the PlayStation 4 is outstripping Microsoft's console in sales every month. Oculus might release a stronger consumer Rift than originally planned, only to find the market has turned away out of spite. Earlier this year, Valve and Oculus stood united to announce another, far better-received partnership: Valve, with its infinite, Steam-funded war chest, would handle VR research and then pass on the fruits of that labor free of charge to Oculus to include in the consumer Rift. What happens to that deal now that Facebook has entered the picture? If Valve cuts off Oculus, what does Valve do next? Does it partner with yet another company? Make its own headset? This merger doesn't just affect Facebook and Oculus—it leaves some other major VR players twisting in the wind. Speaking of other VR players, the piece of the Oculus buyout news with perhaps the most far-reaching consequences is that Facebook now owns the Oculus trove of patents. Sony's Project Morpheus prototype VR headset for the PlayStation 4, on display at GDC 2014. Now, I want to stress again that we have no idea how any of this acquisition will play out, and Facebook isn't known for raising a ruckus in the courtroom. But what if Facebook does decide to be a corporation and go after the other VR competitors with legal threats? Up until now, the VR community has been remarkably collaborative: Competitors in name only, with many companies helping each other out and trying to develop cross-platform standards for the good of the medium as a whole. 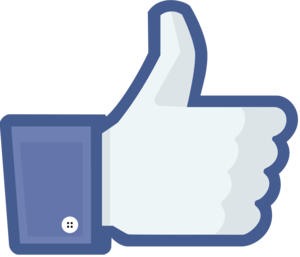 Will the Facebook acquisition squash that spirit? Will the VR space start to look like the cell-phone space, with companies suing and cross-suing and suing themselves and all sorts of craziness? If so, that'd be a damn shame. Now, we wait and see. Facebook could prove to be the most benevolent of dictators, or everything could go up in flames tomorrow. Or the world could end and we'll never even see a consumer-release Rift. Who knows? But virtual reality is the future even if the Facebook-led Oculus falters, and it cannot be stopped just because the lead horse went down with a cramp. None of the VR competitors I saw at GDC this year match the Oculus Rift's quality, but that will change. The market wants VR, and companies are listening, investing, and building. Whether I'm wearing an Oculus Rift or Sony's Project Morpheus or a Nintendo Virtual Boy V2 or a Valve Superfly (name entirely invented by me) or whatever in two years—well, does it really matter? It's not like I can see the branding when it's over my eyes anyway.